You can’t ignore the elephant in the room when it comes to substance abuse and relationships. It’s important to acknowledge the feelings that occur when it seems that the substance is more important than you. You may be fearful all the time for your partner’s safety, or be anxious about having to adjust how you respond to your partner in fear of their mood swings. When you have been told “I will stop” more than once and it doesn’t happen, you can also lose faith and trust in your partner. Be open and honest with your partner about your fears in a safe environment. Don’t use attacking language, or your partner may just shut down. While you open up about your feelings, also be clear that you are coming from a loving place. 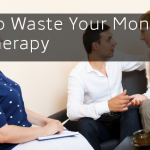 It might help to employ the help of a counselor or marriage therapist who can help mediate the discussion and keep it on track. Research on emotionally focused therapy has shown that when one partner has substance abuse, a wedge is created in the relationship. It removes the partner from full engagement in the relationship, and the sober partner can’t be emotionally vulnerable because s/he doesn’t know when the partner who is using can really be counted on. As you drift from each other, one because you are abusing drugs or alcohol and the other because you feel abandoned — your secure bond slowly disintegrates. In a study by James A. Cranford et. al, researchers found that husbands’ lifetime abuse of alcohol is directly related to a wife’s negative marital behaviors. Another study found that addictions to prescription medication can decrease the ability to function in a relationship, especially for women. Other studies also show that addictions are linked with negative relationships — a contentious marriage makes you more vulnerability to stress and could lead you down the road of addiction more than someone with a supportive marriage. 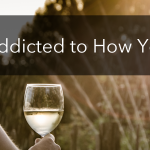 All of these studies support the idea that addiction can erode your connection and ability to trust one another; most studies also point out that these impacts are felt most strongly by women. If you and your partner are struggling with addition in your relationship, please seek medical and rehabilitative help for both partners. Then, when you’re ready to get your secure attachment back on track, come to see me. Click below to schedule an appointment to talk.